MovieScore Media is no stranger to movies about famous sportsmen and its latest release falls in line with this trend. Directed by Ron Scalpello, My Name is Lenny presents an account on the life of Britain's most notorious bare-knuckle fighter Lenny McLean, also known as "The Guv'nor." Played by Josh Helman (Commander Stryker from the new generation of X-Men films, Mad Max: Fury Road) McLean was an institution of the British fighting scene with a self-proclaimed number of 4000 fights - he also had strong ties to the London underworld, a fact he relished when playing the role of 'Barry The Baptist' in Guy Ritchie's gangster comedy Lock, Stock and Two Smoking Barrels. 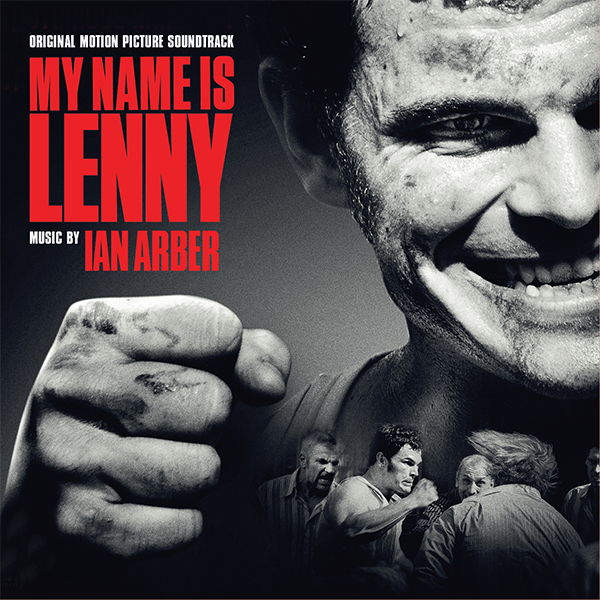 My Name is Lenny tells the extraordinary tale behind the man, the myth, the legend. Ian Arber is an emerging talent in the film music world. With a growing portfolio of work across a variety of genres, In 2016, he scored two feature documentaries about Olympic legends Usain Bolt (I Am Bolt), and Sir Mo Farah (Mo Farah: No Easy Mile). His documentary scores are characterized by strong musical contributions from musicians, such as hip-hop legend Nas appearing in the opening titles to I Am Bolt and the involvement of co-composer Blur drummer Dave Rowntree on Mo Farah: No Easy Mile. Other recent works in Arber's filmography include assisting Joe Kraemer on the blockbuster Mission: Impossible: Rogue Nation as well providing music for the BBC2 period comedy Quacks. Lionsgate Home Entertainment: "Lady Macbeth"
Lionsgate Home Entertainment: "A GHOST STORY"
BREAKING GLASS PICTURES: "THE BASEMENT" on DVD! Lakeshore Records "INGRID GOES WEST"
Lakeshore Records: SHOWTIME SERIES "DARK NET"